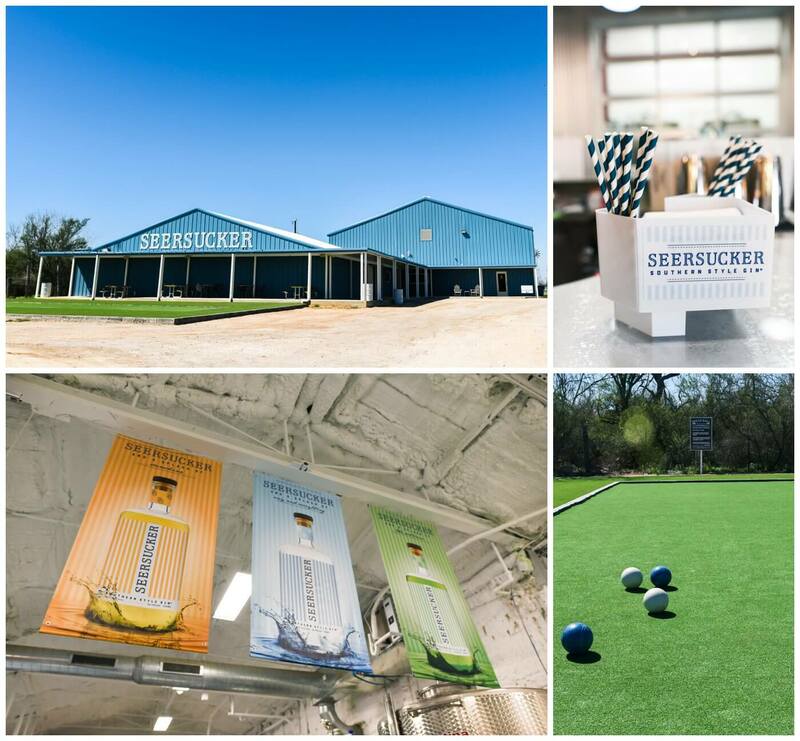 The recently renovated Seersucker Gin distillery has a bocce ball court, hip tasting room and huge copper distiller. 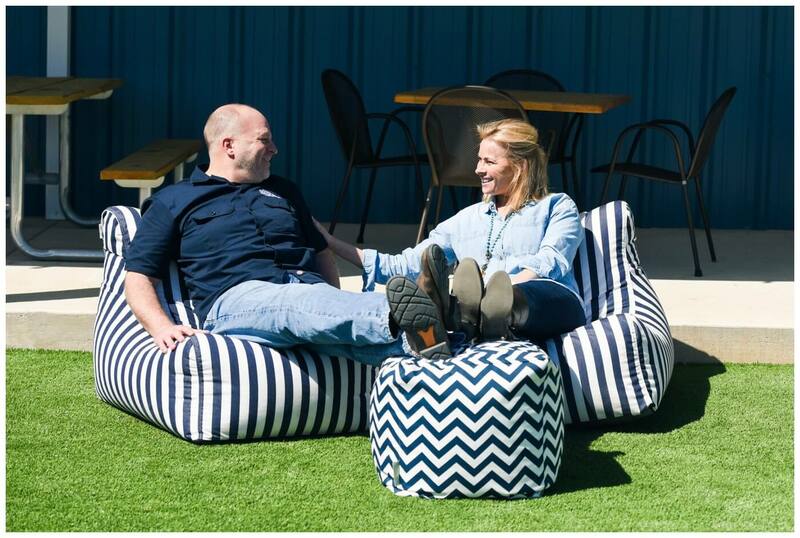 Owners, Trey and Kim Azar, are also the makers of Cinco Vodka and are on a mission to bring gin to the non-gin drinker with different flavors and fun recipes. If you’re looking for a fun place to hang out on the weekends, the gorgeous drive out to Cover Road is worth it. Grand opening is Cinco de Mayo! 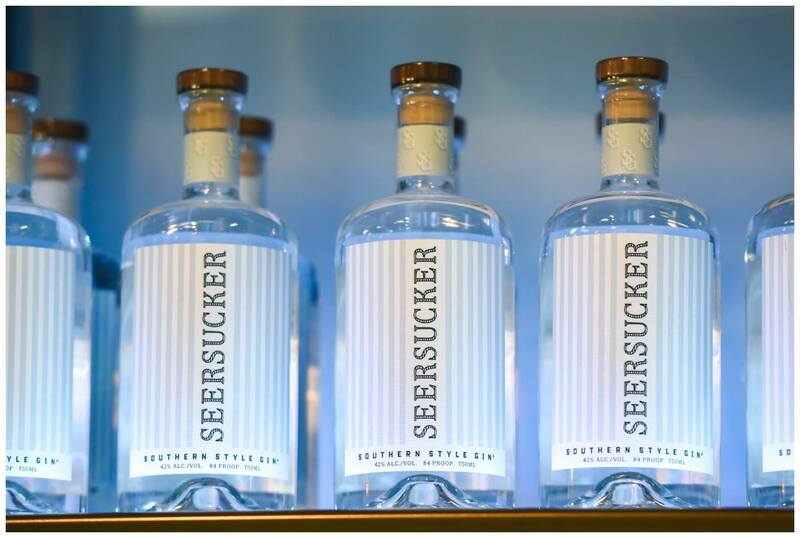 The whole place gave off a Southern vibe, which is right on brand for an alcohol named “Seersucker.” I even passed a few farms on the drive out there. The first thing you see when you drive up is a large blue barn with a bocce ball court inviting you to play. When I arrived they quickly brought out their striped lounge furniture and toured me around the whole facility. The gin was distilling and the bottles were being filled. It was quite the process! Trey and Kim were nice enough to take a break from their work to show me their bocce ball skills (I’m pretty sure Kim won). One of the most impressive things I saw was their huge copper distiller. Trey is one of few in the country that was selected to be trained on the process of how to use this machine. 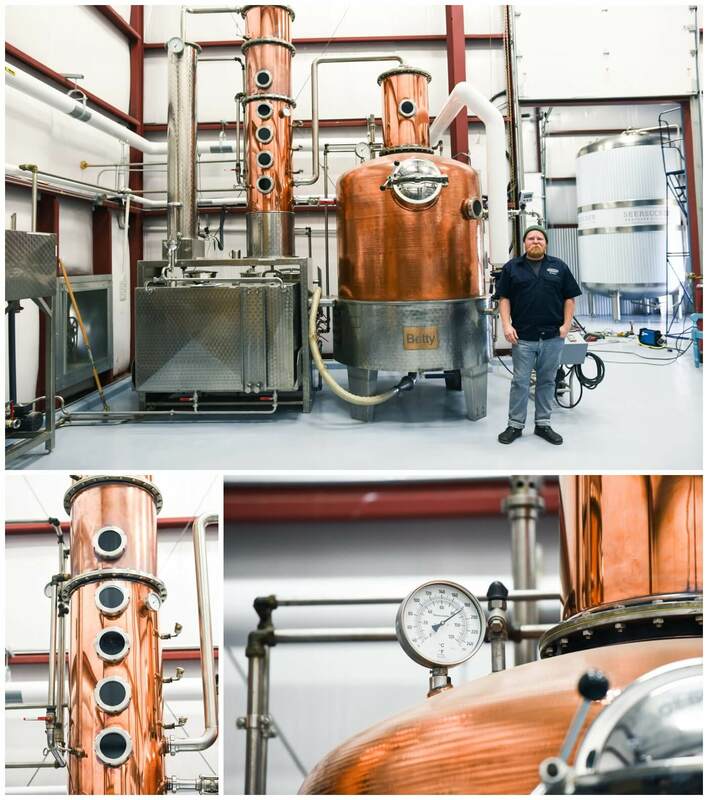 It was hand built and shipped specifically for their distillery. I can’t wait for their formal opening to bring a bunch of friends to hang out and sip some classy gin. I better start shopping for seersucker clothes! 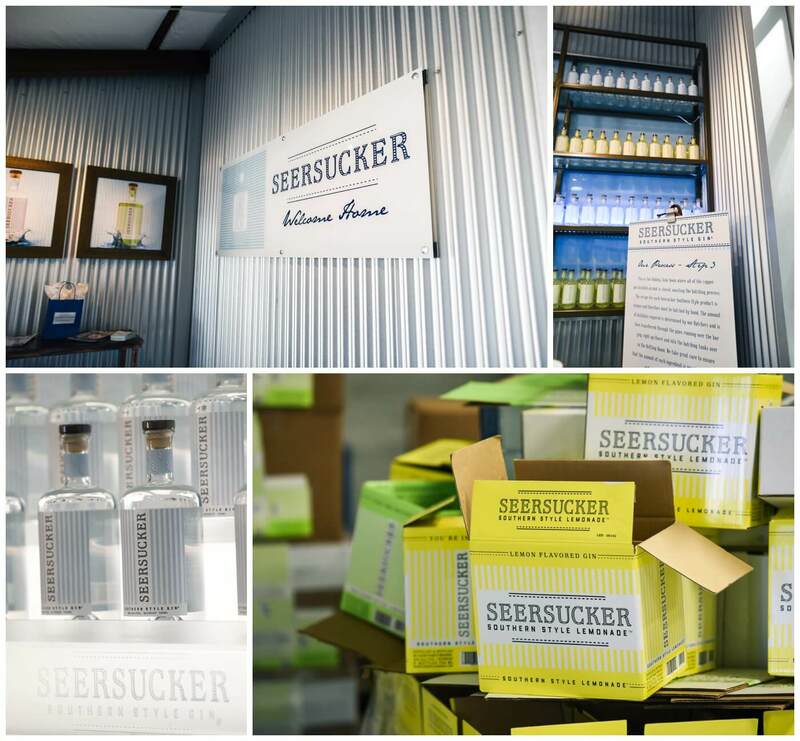 Thank you to Seersucker Gin for letting us come and visit!